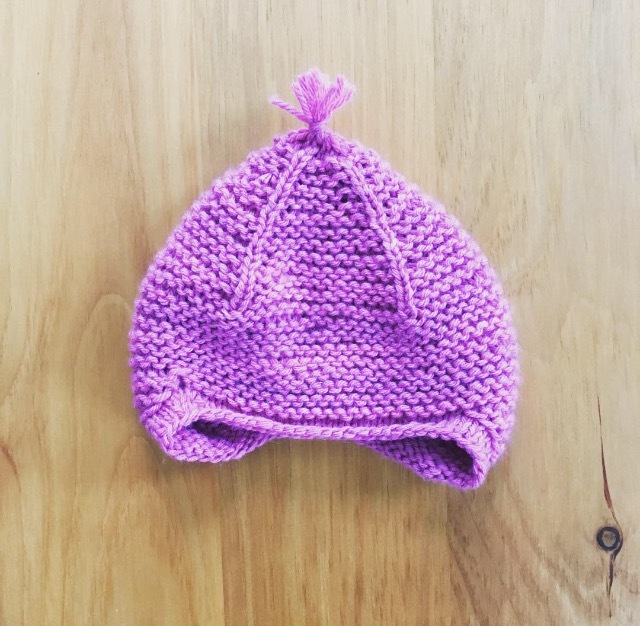 The semester is finally winding down, but while I should be working on my term papers, putting the finishing touches on baby knits is the perfect procrastination opportunity (and blogging about it). One of my friends from my economics program recently had a baby girl, and I love the chance to try out some of my favorite baby-sized patterns. I had finished this hat about a month ago, but had dragged my feet weaving in the ends and adding the tassel. It's been freezing here the last few days (temperatures here have been close to -16 F with the wind chill) so I was finally motivated to finish it up, and I hope this hat is up to the challenge. Short rows kept this pattern interesting, and the small size makes this a quick knit. As with the case with most hats I knit, it came out a bit big -- thankfully she has a lot of growing to do!